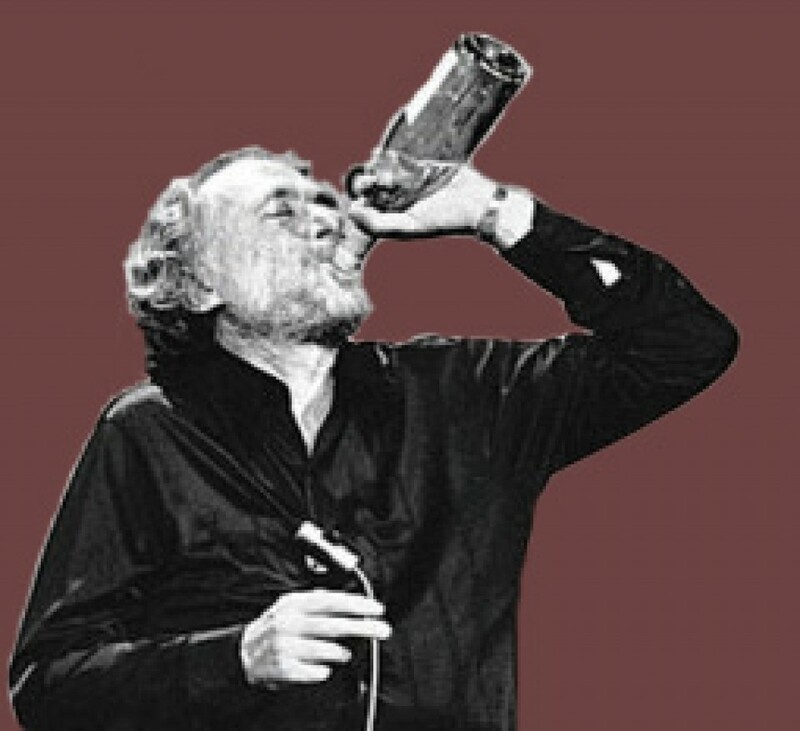 February 2014 – Would Bukowski Drink It? Every once and a while I stumble upon a wine that is exceptional. The Kunde “Magnolia Lane” Sauvignon Blanc from 2012 is one of those wines. Having randomly picked it from the market made it that much more fun of a discovery. After tasting it I am not surprised to find out it’s won the 2013 Sonoma County Harvest Fair Gold Medal and the 2013 Pacific Coast Oyster Award. Out of the glass and into the bottle….The color of the “Magnolia Lane” Sauvignon Blanc is a clean yellow with a hint of peach to it. Short legs in the glass as the wine is dry. The nose of the wine is very crisp with big citrus notes: green apples, lemon, grapefruit, orange blossom with honey and vanilla overtones. The taste is perfectly balanced. 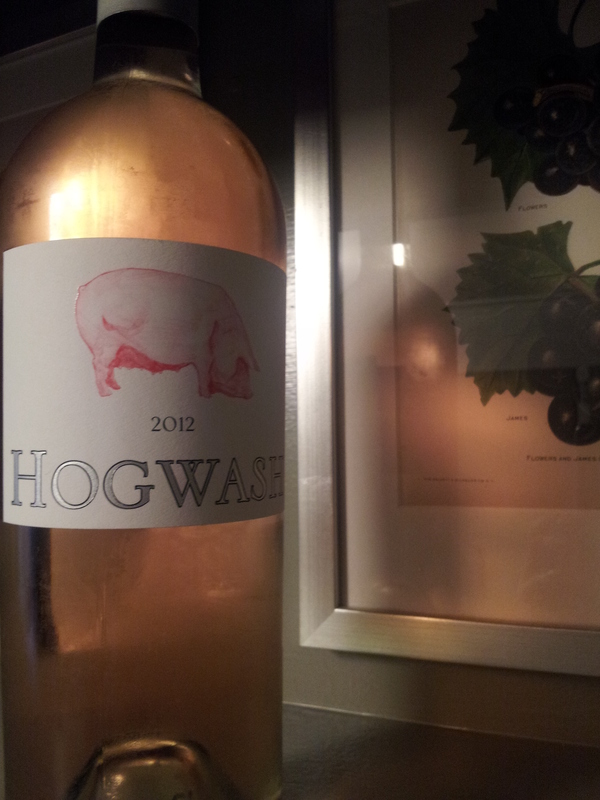 Big, bright and crisp with nice acidity with tons of apple, pear, citrus, most notably grapefruit, with a nice full finish. As it warmed slightly I began to pick up more fruit, especially melon. The finish and mouth feel also made me think of the texture of ripe melon. It had a velvety smooth butteriness. There were some slight mineral notes as well. 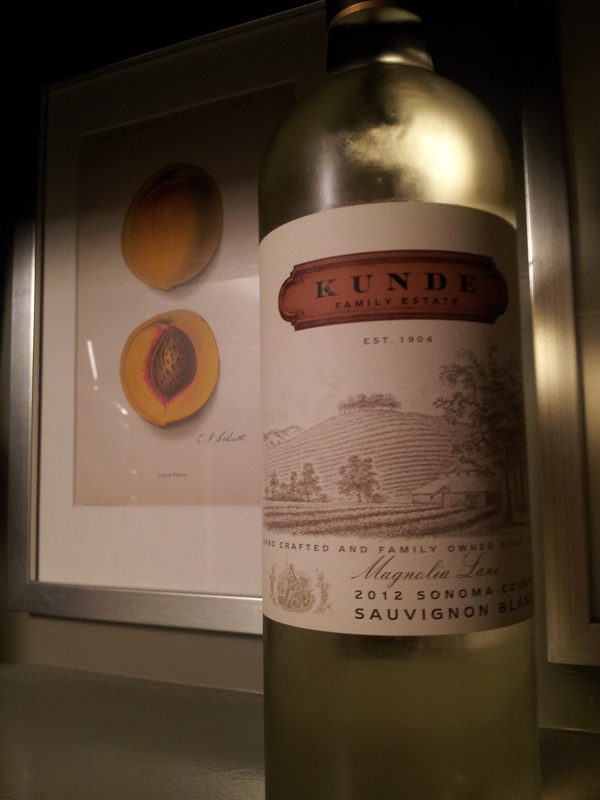 The Kunde “Magnolia Lane” Sauvignon Blanc will pair well with poultry, seafood and lite savory dishes excellently. For fruits I would recommend dried apricots, figs, apples, and the like. For cheese it will go nice with delicate soft cheese like Brie but even stand up to the robust flavors of a Blue. Overall this is a fantastic wine and I highly recommend you pick up a bottle to try for yourself. It’s a steal for under $20 as well. Would Bukowski drink it? Hey Dave, get a room but leave the bottle. Peachy Canyon’s wines are among some of my favorites. They are an excellent maker and their Zinfandel wines are really outstanding. 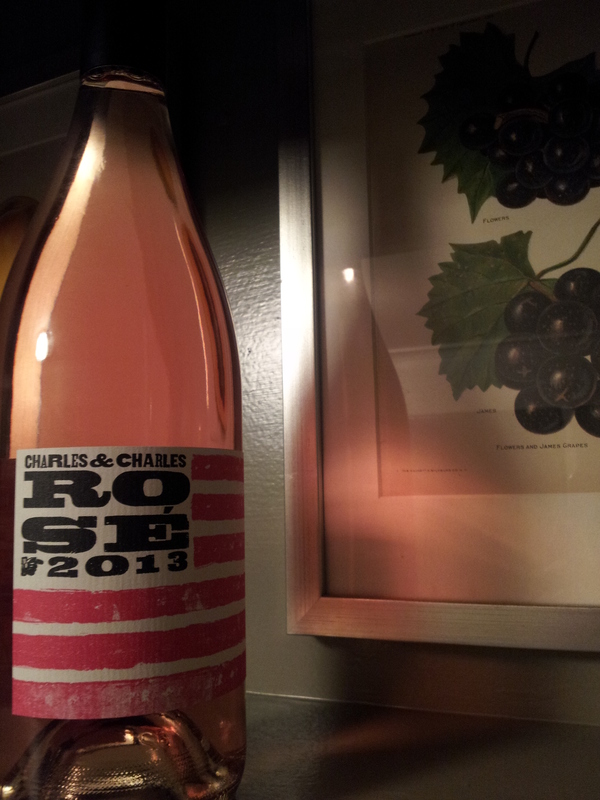 Out of the bottle and into the glass….The “Incredible Red” is deep ruby-red, true to the rim, with very long legs. Rich, clean and clear with no impurities. The nose of the wine is big and bold with tons of berries and spice: black berries, clove, cinnamon, leather, smoke, wet earth, plums and fresh cut green peppers. Tasting notes includes big jammy fruits notably overripe strawberries, a slight toasted oakiness, and leather. Full bodied with a long lingering finish with mellow but still firm tannins. Good acidity and very well balanced. Overall an excellent wine and recommended. Would Bukowski drink it? Incredible is right. I got a wicked buzz. 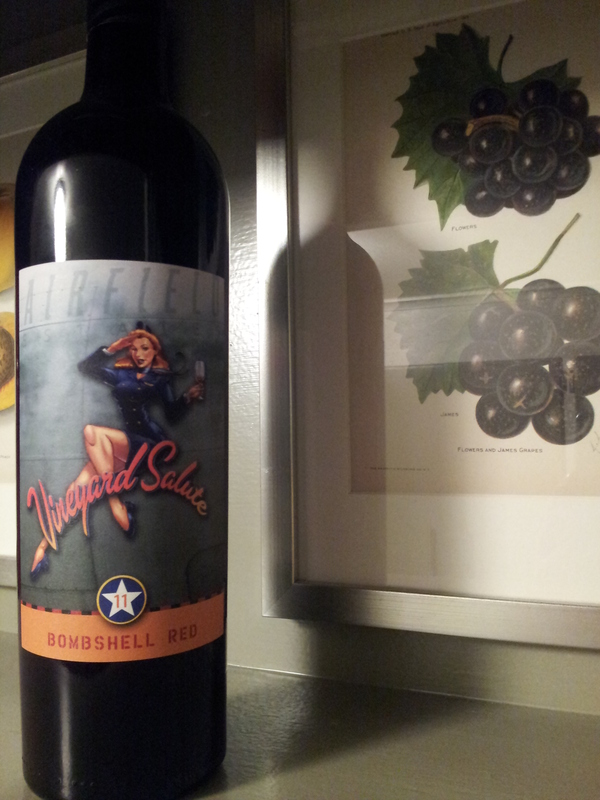 Having enjoyed another wine from Airfield Estates, I ventured to try another, this time a red blend. Once again they didn’t disappoint and I am quickly becoming a fan of their wines. This blend was quite good. 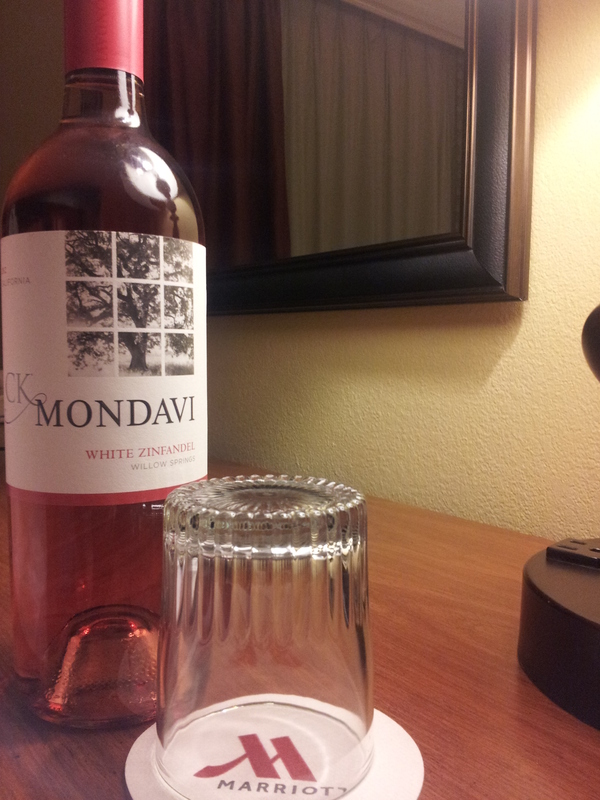 Out of the bottle and into the glass….The wine’s color is rich ruby-red with deep purple tones. It has very long legs in the glass. The nose of the wine is big, bold and spicy. Notes of cassis, plums, cherries, smoke, oak, leather, cocoa, sassafras, pepper, cinnamon and clove. It’s a very big wine with a lot to take in. Tasting notes include smoke and leather upfront followed by big fruit – plum, tart pie cherries, and berries. The body of the wine to me was more medium to full-bodied, with long soft tannins and a long lingering finish; a little chalky with a nicely balanced acidity. Overall easily recommended and quite enjoyable. I had this wine on its own but it will easily compliment grilled meats, savory dishes, dry cured meats, cheeses like Asiago, Manchego, Blue and sharp aged Cheddar. Would Bukowski drink it? The babe on the bottle sold me.